Today we’ve announced Point Nine Capital III, our new €55M fund. Investors in PNC III include institutional investors like Horsley Bridge Partners, Sapphire Ventures, Flossbach von Storch and Vintage Investment Partners as well as a number of highly successful Internet entrepreneurs. To our existing LPs: Thank you for your continued trust! To the new ones: Welcome on board! When we raised PNC II, our goal was to build a leading independent European early-stage venture capital firm. While it’s still very early days for us, we think we’ve made good progress towards that goal in the last years. 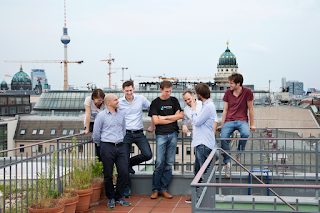 We saw a strong need for a Berlin-based seed VC because Berlin was starting to become a great startup destination, yet there was not a single VC that was headquartered in the city. At the same time, we didn’t want to limit ourselves to investing only in Berlin (or only in Germany for that matter) because we saw great startups being founded all over Europe (and elsewhere). Before PNC II we had already invested in Berlin-based companies like DaWanda, Delivery Hero and Mister Spex as well as in companies from Denmark (Zendesk), the UK (FreeAgent, Geckoboard, Server Density), Canada (Clio, Unbounce), the US (StyleSeat, Couchsurfing,...) and even New Zealand (Vend) and Japan (Gengo), so we were already used to this approach. While we wanted to be pretty agnostic with respect to geography, we were going to be pretty focused when it comes to stage and industry. We’d only do early-stage investments (seed and early Series A) and would focus on three categories: SaaS, marketplaces and eCommerce. Both Pawel and I had a background as angel investors, and just because we raised a fund we didn’t want to give up our angel investor mentality. We wanted to combine a founder-friendly, no-nonsense, value-add approach with the ability to make bigger investments and do more follow-on financing. VC investing is an incredibly relationship-driven business. To be successful, you constantly need other people’s help and goodwill. What that means is that if you’re a newcomer, you should try to “give” as much as you can to as many people as you can in order to build long-lasting relationships. Three years later we feel encouraged by the early results of our strategy. Many PNC II portfolio companies have raised large follow-on financings from great investors like Accel, Acton, Balderton, Bessemer, Emergence, General Catalyst, Matrix, MHS, Storm, Valar and others. In many cases, valuation has gone up significantly since our initial investment, in a few cases as much as 10-20x and more. Again, it’s still very early and it will take another five years or so to see if we’ve done a good job with PNC II, but we’re super excited that so many of our portfolio companies are on a great track. We’re also extremely grateful for the appreciation that we’re getting for our work – from portfolio founders, other investors, our LPs and the bigger startup community. So, we’re happy with our strategy, and we’re going to continue it with PNC III. 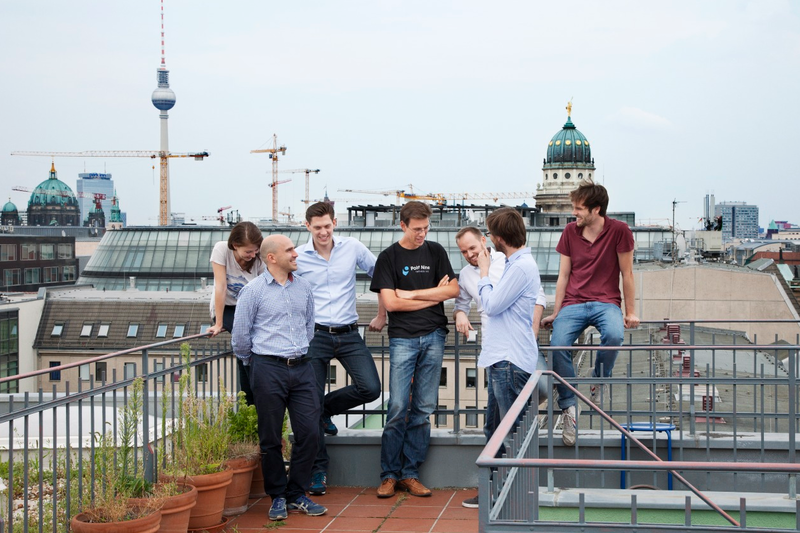 We’ll continue to invest heavily in Berlin but will also continue to invest all over Europe and beyond. We’ll keep our “Angel VC” tagline, and we’ll continue to do our best to be a “good VC”. We’ll stick to early-stage, and while PNC III is a little bigger than PNC II, we’re not leaving micro VC territory. In terms of sectors, we’ll stay focused on SaaS and marketplaces, although we’ll also keep exploring new areas like bitcoin, IoT or drones (interestingly, the investments which we’ve made in these new areas so far all fall under SaaS or marketplaces from a business model perspective). The one area which we got somewhat less excited about in the last years is eCommerce, mainly because it requires so much capital and because the margins are usually small. There are (very) notable exceptions, of course – Westwing is one of the best-performing companies of PNC I, and if Stefan Smalla ever starts another eCommerce company we’ll invest in it again in a heartbeat. So a lot of things are going to stay the same, which explains why, when we told our partners at Horsley Bridge about our plans for the new fund, Kathryn said, with her inimitable wit: “Sounds like copy & paste”. That’s true, but I should point out that other things have changed and will continue to change rapidly. Some of the “pattern matching” that we’ve used to pick great companies 3-7 years ago doesn’t work any more because what used to be innovative a couple of years ago is table stakes today. Many of tomorrow’s unicorns might and probably will be based on technologies which barely exist today. Add all the changes that are happening in the funding ecosystem, and it’s clear that while we’ll stick to our core values, we’ll have to keep re-inventing ourselves to stay relevant. So don’t worry about us getting slow and saturated. We’ll stay hungry and foolish.